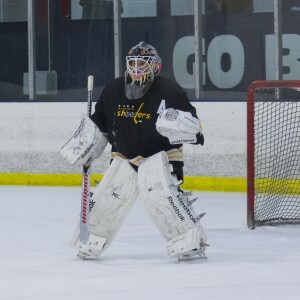 With BSU’s spring intramurals well underway, students take to the ice to relieve stress, have some fun, and engage in a little friendly competition. 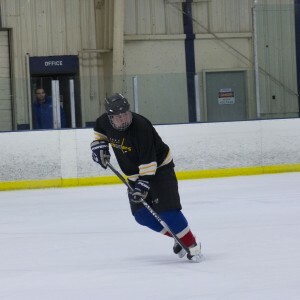 (Above) The Sharpshooters’ Captain is forward Cole Grandgenett. Grandgenett is a candidate for running the intramural program next year as a grad student. 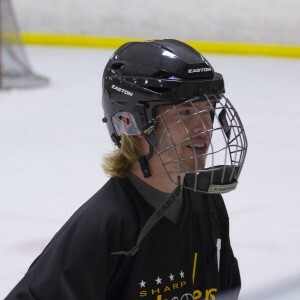 (Above) Assistant Captain, Lucas Stern, started the team with Grandgenett and Zach Welle (pictured below) in the spring of 2013. The team won the championship in 2013 and came in second in 2015. 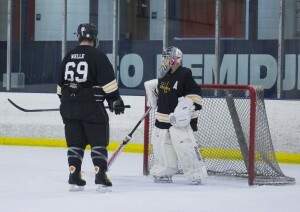 (Above) Assistant Captain and defenseman, Zach Welle, takes a breather and discusses game play with goalie, Lucas Stern. (Above) Player Cody Heinemann takes some time warming up on the ice. Other players on The Sharpshooters’ team include: Nate Arnold, Hunter Larson, and Brendan Schmidt.